Less than a month into their most important offseason in recent memory, the Green Bay Packers have wasted little time making big moves for the future. The team was the first of 2019 to fill its head coaching vacancy by inking former Titans OC Matt LaFleur to a four-year deal. Green Bay also elected to retain Mike Pettine as defensive coordinator for 2019, while announcing that Ron Zook and several other assistants would not be brought back for the upcoming year. Earlier this week, the Packers addressed the biggest remaining void on the staff by signing Nathaniel Hackett to be their offensive coordinator. While the whirlwind of changes has so far only affected the coaching staff, an already busy offseason could quickly get busier when crucial decisions are made regarding the team’s 2019 roster. Several fringe players could be on their way out to make way for rookies and potential free agents, but there are also some major decisions that need to be made on long-time, fan-favorite veterans. The team knows that it has to retool, not rebuild, to take advantage of the remainder of Aaron Rodgers’ career. Doing so will require using cap space to address roster needs with established veterans that are surer, but more expensive, bets than the likes of Jimmy Graham and Martellus Bennett. Acquiring that extra space could necessitate making tough decisions on popular players who have spent the entirety of their careers in Green Bay. There are four popular guesses for which players could be left off the roster, or at least have their deals restructured, come September. Nick Perry, Clay Matthews, Randall Cobb, and Bryan Bulaga, despite playing a combined 33 seasons exclusively with Green Bay, are all at risk of playing elsewhere in 2019. 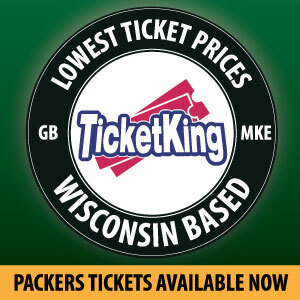 The toughest decision comes regarding Bryan Bulaga. He’s anchored the right side of the offensive line for the past eight years, but has dealt with nagging injuries of various severities throughout his career. Bulaga missed almost 30% of the team’s defensive snaps in 2018, and has only started all 16 weeks once in his career. When he plays, he’s one of the best in the business, ranking 2nd in the NFL in pass block win rate last year, according to ESPN. There was a noticeable decline in play when back ups tried to replace him, further demonstrating Bulaga’s value. But the team needs its right tackle, set to be the 8th highest paid RT in football, to be on the field. Otherwise, that money could be better used somewhere else. Odds are Bulaga will be back, but he’s a dark horse to be released or re-worked before next season starts. Cobb likely faces the toughest road to returning to the Packers. He’s set to enter free agency, and shouldn’t get an offer anywhere close to the 4-year, $40 million deal he signed after 2014. The team saw promise out of Marquez Valdes-Scantling and Equanimeous St. Brown last year, and would be wise to bring in an established veteran who can stretch the field for Rodgers. Green Bay’s quarterback has lobbied for Cobb to be brought back, but the fan favorite receiver would have to take a major discount, especially given his own slew of injury concerns. On defense, the linebacker corps could look very different from what it’s been over the past seven years. Both Clay Matthews and Nick Perry have been mainstays on the Packers’ defense, but neither is worth the money they’re due to receive in 2019. Matthews (5th-highest paid OLB in 2018) and Perry (7th-highest paid) combined for a grand total of five sacks last season. That’s not nearly enough production for roughly $25 million in salary. Clay Matthews is set to become a free agent, and the Packers could elect to simply move on from the undisputed face of their defense in recent years. Matthews had flashes of his old self in 2018, and proved he can still be a valuable, though not quite as disruptive, veteran presence. 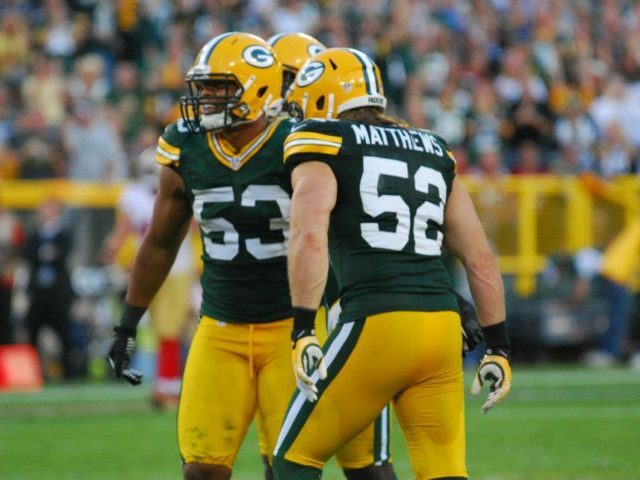 Like Cobb, seeing Matthews back in Green Bay would require his willingness to take a substantial pay cut. Perry, on the other hand, has a cap hit of more than $14 million next season, which the Packers may be forced to deal with for one more year. It seems unlikely Green Bay would take the dead cap hit of releasing Perry, especially with an opt-out before 2020. But even when on the field, Perry has been largely invisible, so the team could decide to part ways sooner rather than later. Edge rushers should be a priority for Green Bay this offseason, and moving on from #53 could be necessary for more effective players to get on the field. Regardless of which, if any, of these long-time veterans the Packers choose to retain, it is likely the roster looks significantly different when next season begins. At discounted rates, players like Cobb and Matthews can still contribute, while Perry and Bulaga need to find ways to stay healthy. The team has committed to a complete overhaul among the coaching staff, and it will be interesting to see whether the Packers follow suit regarding their roster. This entry was posted in Packers 2018-2019 Season, Sean Blashe and tagged Bryan Bulaga, clay matthews, Green Bay Packers, Matt LaFleur, Nick Perry, Randall Cobb, roster. Bookmark the permalink.